A happy customer sent me the BEST photo! 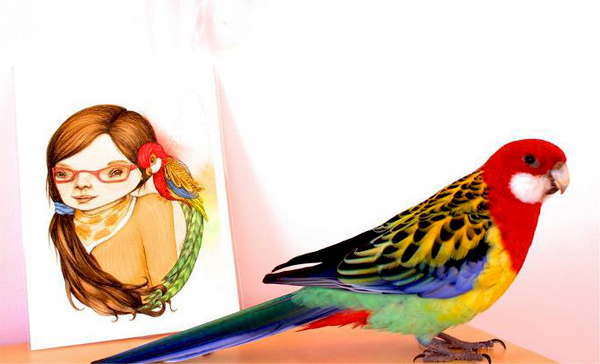 It’s a portrait of Ekko, her Eastern Rosella, posing next to one of my mini-prints, (which itself features an Eastern Rosella). So cute!